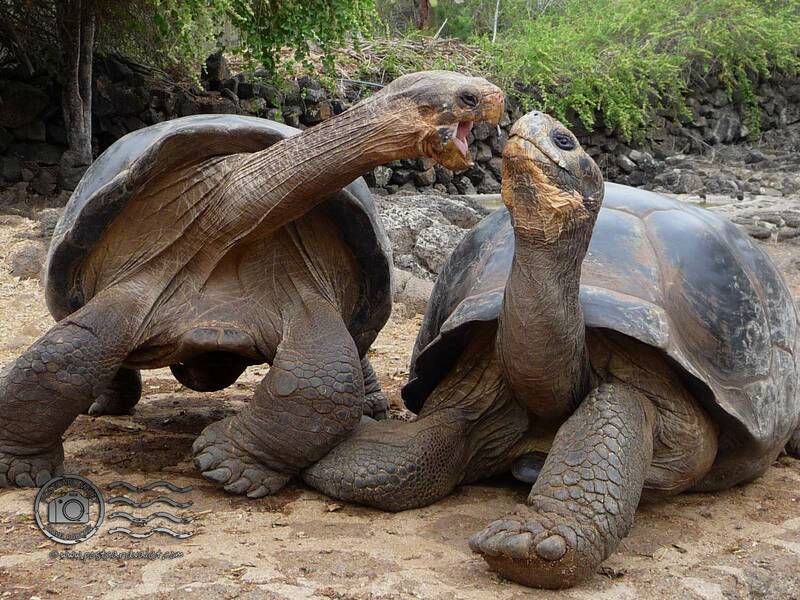 One of the featured attractions of the Galapagos Islands is its giant land tortoises. Charles Darwin noted them 175 years ago when he surveyed the archipelago in 1835. In his day, the tortoises were known to passing whalers as an excellent food source. They would haul them onto their ships by the dozen, flip them on their backs, and they would keep for months at sea. Fortunately for the turtles, today they are known more for the clear evidence their shells present for evolution. What you may not know is that there are very few places a tourist can go to see these tortoises at all. There’s a highland ranch on the island of Santa Cruz that lets visitors in to see “wild” tortoises, but other than that, your best bet is to visit the Darwin Research Station in Puerto Ayora. It’s here that scientists and grad students research and breed the different varieties of Galapagos land tortoises in an attempt to reintroduce them to the wild. Back in January, when my group passed through the Research Station, our guide gave us a brief tour of the different tortoise pens before he departed and left us on our own. We had a few hours to kill before we were to meet back on the boat, so I decided to stay put. There’s one pen in the Station where tourists are invited to mix with these huge animals. It was early enough in the morning that the five or six tortoises in there were still fairly lethargic. A gentle rain was starting, so there were very few other tourists with me. I sat down less than ten feet from a group of three sleeping giants and watched them slowly wake up. Before long, one ambled over to another and I watched a dominance game play out. As if in slow motion – well, actually, their motion was slow – two long necks snaked out from their respective shells and climbed straight up. When neither tortoise’s neck could rise any higher, they both laboriously lifted their shells off the ground as they used their stocky legs to gain a bit more height. 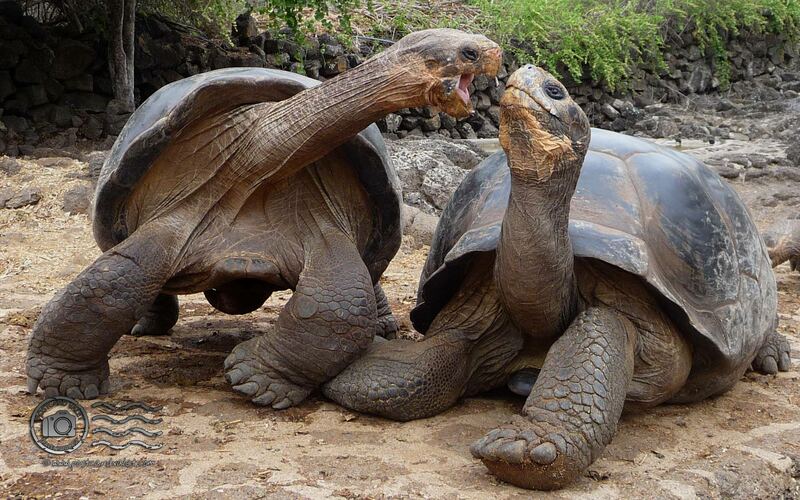 Mouths open, exposing pink tongues behind sharp beaks, the two tortoises hissed at each other… until the one on the right, an inch or two shorter than the other, finally submitted. Throughout the morning, I saw this display again and again. While these two turtles never managed to bite one another, I did see one take a chunk out of another’s cheek. These guys may be slow, but they have some powerful jaws! Photoshop: Heavily cropped, cloned out a coiled garden hose in the background, increased saturation, decreased brightness.